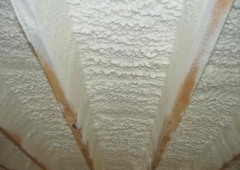 Sunlight Contractors, LLC provides spray foam insulation services for residential homes and commercial buildings. They are licensed and certified RESNET Home Energy Raters (HERS), RESNET Energy Smart Contractors and bpi.org Building Performance Institute, Gold Star Contractors. We are certified by the Spray Polyurethane Foam Alliance (SPFA). We are master spray foam installers. 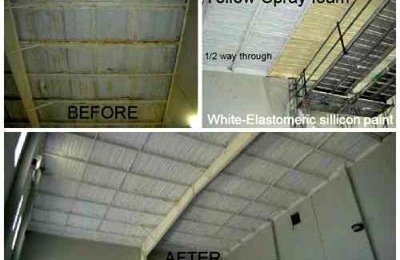 Sunlight Contractors, LLC also offer a variety of services including: commercial spray foam, roofing 3 pound spray foam for buildings with elastomeric coatings, fire proofing, sound proofing and superior insulation. Go to our website at www.sunlightcontractors.com for more commercial; industrial information. Residential services: We are the ONLY master spray foam installers in the state of Louisiana. Certified by the SPFA. We also have the correct equipment to efficiently and effectively retro fit your wall or attic ceilings with cellulose insulation. We are licensed by the LSLBC to inspect and remediation for mold if the problem arises. Mold can appear due to the constant humidity in Louisiana. We offer a wide variety of energy saving remedies for our residential customers. Whether you're interested in making your home, office, or business more energy efficient. We've got you covered. Our team of licensed residential and commercial builders are up for any challenge. Ira and his team are fantastic! We had a severe moisture problem in our raised house. We searched online for a company with top notch reviews and Sunlight Contractors stood out to us. They came out the next day and immediately got to work. Unfortunately, the high moisture in our house had allowed mold to flourish and all our flooring had to be replaced. My husband and I were nervous at the enormity of this job but Ira and his crew knew just what to do. They worked tirelessly for almost 3 weeks straight removing the batt insulation, drying out our subfloor, ripping up the old flooring, laying down the new flooring, installing a whole home dehumidification system and spraying spray foam under our house, in a downstairs office area and in our attic. Ira kept us in the loop with nightly phone calls explaining what his crew had accomplished during the day and their plan for the following day. Our house feels more secure and I can rest easy knowing my two young sons are breathing in healthier air. I am very pleased with how prompt, knowledgeable and professional his entire team is. You will not regret hiring Sunlights Contractors for your spray foam insulation and mold remediation needs. Sunlight Contractors did my spray foam insulation for my attic. Ever since, my house has been set at 75 degrees and I'm COMFORTABLE! Sometimes, I'm even COLD! Before having my insulation done, my thermostat was never set above 69 degrees and I was paying for that heavily in my energy bill. I can't wait to see how much lower my energy bill is after Sunlight Contractors. Their professional attitude, genuine concern, and knowledgeable approach to my insulation needs played a large part in my selection of this company and I will recommend this company to anyone looking for insulation work. Sunlight Contractors just finished work on my daughter's house and the difference is immediately noticeable. Her house is cooler and more comfortable and I can tell she is very happy with the work done. The company's employees were trustworthy, competent, and the type of people you can feel comfortable working on your house when you aren't there. My issues started when we noticed our original floor boards in our 100 year old house started cupping on the edges. With the amount of humidity and rain that we get I had moisture problems under my house. My initial online research led me to another company that told me about their fancy elaborate system that would take care of all of my problems. Evidently they were in over their head because they stopped returning my calls and emails about the quote that was promised to me the next day. One week later I called Sunlight Contractors. I received a call from Ira that same day. He knew what my problem was and how to fix it before laying eyes on it. Someone came by the house the next morning and I had the quote that same day. Three days later they showed up to my house and went to work. They sealed off the underside of the house and used an indirect heater and duct work to dry out the wood. Four days later the closed cell spray foam was installed. That was yesterday, so far so good. My floors have mostly returned to original state and the entire down stairs feels more stable. Time will tell on the energy savings but I am sure it will be significant. The entire crew was professional and seems to have eliminated our problems and helped us preserve our home. Mr. Ira is one of the nicest guys that I have dealt with in dealing with anything contractor related. Thanks Sunlight! I needed my insulation redone in my attic and did quite a bit of research into who I would like to do the work. When I got to Sunlight Contractors, I left a message asking for a quick quote and more information. Mr. Ira at Sunlight Contractors got back to me that night, well past business hours. He gave me every amount of information you could wish to have when selecting a company to do work on your home. He told me to make sure that whomever I got to do the work was a licensed contractor, to check with mastersprayfoam.com to make sure that I was getting a quality company to do the work, to check out the Better Business Bureau to look into reviews left by people who had hired different companies. Thank goodness he did, because of the 4 different companies I was looking at, Sunlight Contractors was the only business that was a licensed contractor, a master spray foam insulator, and the reviews on the BBB were outstanding. His men were punctual and efficient, getting out the loose insulation in my attic in just a few hours, with only two men working. And they kept the whole work site clean and organized. There was nothing for me to do except let them in! He answered any questions I had, no matter the time of night, was extremely knowledgeable, willing to accommodate my busy schedule, and I never felt pressured to chose his company over another. He was honest about what specs were required for code and I really felt like he was personally looking out for my best interests. These attributes of Mr. Ira are the reason I chose Sunlight Contractors to work on my home and are the reason I will recommend this company to any person looking for insulation installation. I used sunlight to insulate a house that I am renovating . Ira and his team were very professional and always available to answer the many questions I had for them . The job went exactly as we planned and the install was exactly what I expected . Sunlight were able to come within a few short days once I confirmed I wanted them to do the job. They were out first thing in the morning, had all their protective gear on and got in the attic from the outside on the backside from the street where their truck and equipment was. The were done before noon and you could not tell any work was done that day, yard was completely clean. The house was in need of this type of work as the AC unit as good as it is can't keep up in the summer in this home. Now everyone is happy in a cooler house and the money spent is an investment whether I ever sell or not. I would recommend them to a friend. I have never seen a company as reliable and professional as sunlight contractors. I was extremely satisfied with the work that they performed on my house! For several years, we dealt with a high moisture problem under our home (part of which is over 100 years old). The moisture was reported to us by termite inspectors, AC servicemen, a floor installer, etc.). We tried several methods of control, such as ground barriers and ventilation fans. After a few years, a large section of the floor began "cupping." We then learned that others in this area (Thibodaux) and a friend in Baton Rouge were having the same problem. This was occurring in multiple areas due to the high rainfall in Southeast Louisiana over the past several years. It wasn't until we learned about Sunlight Contractors that we got the answer to the problem. The main problem is that there is severe damage to the underlying foundation caused by moisture destroying wood, a scary situation to say the least. The floor almost fell through. (A friend down the road had a bed post break through the floor. He has the same problem as we do.) Sunlight diagnosed the problem. No one else did. All of our prior efforts were a waste of time and money. Sunlight got on the job quickly, pulling out rotting 2" x 12" x 20" joists and 6" by 6" support beams, replacing each with pressure treated pine. After the wood is replaced, the foam insulation will be installed. There is still a lot of work to do. So far, everything has gone well. I have a feeling that this project will end well. I will write more after the job is completed. The entire experience was seamless. Ira truly knows all there is to know about the insulation industry. I would use his team a million times, I was that pleased with their professionalism and high quality work. I rarely leave reviews and this company is worth 5 stars. I would highly recommend Sunlight Contractors and plan to use them again for spray foam subflooring. Sunlight Contractors spray foam insulated the attic of my 1942 house that was renovated in 2017. The heat and cold were impossible to bear after my house purchase in May 2017. The contractor, before purchase, cut major corners that I find one by one. The insulation in the house happened to be one of those major corners that were cut. Before the spray foam insulation, I could only keep my house 5-10 degrees different than whatever the outside temperature was. The day of my spray foam insulation installation, I noticed an immediate difference when I opened my front door. My house has officially turned into a home thanks COMPLETELY to Ira and Sunlight Contractors. The customer service was excellent and the job turned out to be one of the best purchases I have ever made. My energy bill in the first month of use has declined from $550 to $189. My HVAC is no longer running constantly and the home temperature stays stabilized all day and night even with the HVAC turned completely off. I called Sunlight Contractors to install spray foam insulation in the sub floor area of my home. The detailed quote I received was amazing and the quality of the final product was even better. Mr Corey Yates and his crew arrived on time and completed the entire install in about 3 hours, on 2400 sq ft of sub floor area. The spray foam sealed all of the unknown air draft areas that I had and also doubled as a sub floor for my hardwood floors. It's been about week since the install and the temperature in my house is a lot more stable. Also I've noticed my heater not running as much. In a few months I will be calling Sunlight Contractors to come back and spray foam my attic, which will fully seal my house. If you are looking for spray foam solutions, I highly recommend Sunlight Contractors. Like I mentioned earlier, the quote was amazing and the job they did was even better. Sunlight Contractors have done an excellent job. Ira continuously answered all of my questions, fully and promptly. My husband went ahead and inspected the attic after the crew finished spraying, and it all looked great, and exactly what I paid for. Perfect job. We had the old installation removed by Corey Galle & Clayton Byrd, who went above and beyond to remove the musky smelling old installation I had up there. Great Attitudes! They worked through lunch, just to make sure everything was completely removed. My husband and I were very pleased to know such an informative and throughout company resides in the New Orleans area! We had problems with moisture under our raised house. This was causing the wood flooring to buckle and cup in some spots. After reading multiple reviews and researching the best way to resolve the issue we decided to call Sunlight Contractors. We are currently in the middle of the job and everything has been going smoothly. Ira Bosh, the owner has been communicating with us every step of the way. First he and his crew came out and took moisture readings from the subfloor of the house in order to determine if mechanical drying would be necessary. Luckily for us, the moisture levels were under what is required to spray foam. Next, he sent flooring subcontractors to begin repairs on our floors. His crew then sprayed a preliminary coat of Sherwin Williams paint to preserve the wood under our house. Today his crew came back to spray the foam under our house. So far everything is going according to plan and after the whole job is complete, we should have no more problems with moisture. Plus our floors will be insulated, which should help with keeping the house cool in summer and warm in winter. We had a great experience with Sunlight Contractors. Our objective was to make our upstairs more comfortable in the summer and winter. Our upstairs has always been a challenge to keep cool in the summer and warm in the winter. Sunlight Contractors came in and removed all of the old unhealthy fiberglass insulation and sprayed new Foam Insulation on the underside of the roof in the attic. My husband and I have visited the attic several times since the install to evaluate the difference in temperature before install and after install. Its remarkable how the new Spray foam insulation keeps the temperature close to the temperature in your home. The crew was professional, timely and cleaned up after the job was complete. I would highly recommenced Sunlight Contractors. My name is Jonathan G. and my family loves our vintage home in Luling, LA. From the rough cut cypress to the crystal door knobs. The only problem with vintage is the old utilities, the lack of central A/C, and no insulation. But, I've remodeled, upgraded, intalled A/C and I'm now complete with the new plumbing, gas, and electrical under the house. I first called Sunlight about 3 years ago because the new A/C was struggling in the 170 degree attic. 8" of open cell foam fixed that. I can now work up there without a sweat, and anyone who sees it is jealous, sincerely. Later, I opened my walls and could see the outside light through the old cypress wood siding and sub-floor. I called them back for round two and the house felt even better. Finally, after re-doing all the mechanicals under the house, I got them to give me the closed cell, vapor proofing that finally made it perfect. My A/C loves Sunlight insulators and I love my new electrical bill!!! Hey Ira, now I want ya'll to give me an after... energy audit so we can see the difference in nuisance air flow. I know I will call them agian when I finally change the sheetrock in the bedrooms. On a side note, these guys will remember you better then you can remember them. Also, you can trust them, they tell you why you put which products where and they do what they say. Best money a homeowner could spend! Sunlight Contractors are an AWESOME crew. They provided excellent service spraying the foam in my attic about 2 yrs. ago saving me a ton in utility costs. I'm selling my home to move out of state and had an inspector hit me for having foam covering the ducts in the attic causing condensation that could cause mold. I called Ira at sunlight and he immediately addressed the situation providing documentation for the inspector proving that it's installed correctly and he also came over the next day with a full crew to evaluate the situation including an AC guy to check my system and guys that checked for mold who removed a lot of the old insulation which was causing the condensation problem. If you want thorough go with these guys, they're friendly, courteous, and very professional. Contacted Sunlight Contractors via their website for a free estimate. Was contacted by Ira Bosh and set up an appointment for the next day. Corey arrived on time and answered all my questions and concerns. Upon accepting quote, I was given all license information, material information and insurance paperwork without asking. Was a two part job: Removal crew arrived Saturday morning and removed the old blown-in insulation, a very hot and miserable job which took longer than expected. They were very professional and stay until completion. Two days later the spray foam crew arrive on time. Corey was there to supervise and answer all questions and Ira was available via telephone for any other concerns. Was very happy with the quote and professionalism of Sunlight Contractors. FYI: Attic is much cooler at end of day than before spray foam and much cleaner without 36 year old blown-in insulation. From the very start of my conversation with Ira and Sunlight Contractors, I knew that I was dealing with professionals. Started with an inquiry that was quickly followed up with a call from Ira who introduced himself, what he and company stood for and how they are able to help. He provided ample research, references as well as documentation highlighting all the Pros and Cons and asked me to do some research. The day came, we wanted to work with Sunlight Contractors. His team are true professionals, not only did they install the new insulation, they cleaned out my attic and removed all the old 1940s-1960's insulation. Ira and his team were friendly, knowledgeable and did a great job. We have a Nest Thermostat and have noticed since installation of the new insulation we have decreased the running time of our A/C by 5-6 hours daily! Almost 180 hours monthly. This insulation is showing returns on reduced electric bills with immediate effect. As Ira says, do your own research as I did. I wanted to work with Ira and Sunlight Contractors and they exceeded the highest expectations. Fantastic service. From Mr. Ira Bosh, the owner, to his employees, all of which are top-notch. Very, very knowledgeable and extra personable, very easy to talk with. No pressure for a sale at all, just great information. Mr. Clayton, Mr. Corey, and Mr. Brian are first rate. Removed my blown-in attic insulation from my home in 1 day. Should have taken 2 to 3 days to do. Can't speak more highly of the whole company and experience. And they keep you very informed, showing pics of the work as it's in progress. And Mr. Ira kept in contact throughout the job. And my spray foam job for the attic was bumped up 1 week early. Fantastic customer service, and a clean, professional job. Highly recommended. Call them, you won't regret it. Thanks Sunlight. An expert in home restoration and flips discusses the ins and outs of bathroom upgrades so you can learn what works for your budget and style.